Railfans love the Chicago Southland for its plurality of railfan spots! From double diamonds to the Pullman National Monument, a brewpub in an old Illinois Central rail station and one of the only places to see a double wye junction in the country, the Chicago Southland has it all. Many of these stops are located just minutes away from one another. From the "World's Most Perfect Town" in 1906, to near demolition in the mid-20th century, to a neighborhood revitalized in the present day, the saga of the Pullman Palace Car Company and neighborhood known as Pullman is on display at the Pullman Historic Society Visitors Center. The state park offers tours of the Pullman factory the 1st and 3rd Sundays, starting in May, at 11:30 a.m. 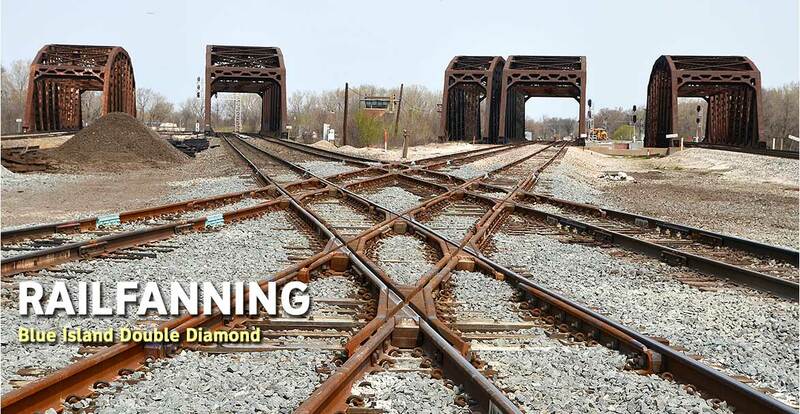 Described as one of the most fascinating rail watching hotspots in the Midwest, the Blue Island location features Canadian National, CSX, Iowa Interstate Railroad and Indiana Harbor Belt rail lines converging and crossing in a double diamond. About 90 trains come through the large steel bridges that cross the Cal-Sag Channel daily. About 120 trains pass through Dolton every day and it is common to see two or three trains passing through simultaneously. Norfolk Southern, BNSF, Canadian Pacific and Canadian National occasionally run through Dolton on Indiana Harbor Belt and CSX tracks. About a half-mile west, the former Illinois Central main line, now Metra Electric and CN, passes over the Indiana Harbor Belt line. A great and legal viewing location is the public parking lot behind Dolton's City Hall. Situated between the vibrant downtown area and the majestic Ravisloe Country Club, the Railroad Platform & Park is in the heart of the action in the Village of Homewood. The handicap-accessible railroad viewing platform gives an elevated view of the three types of tracks that cross Homewood, regional commuter (Metra), intercity rail (Amtrak), and freight. 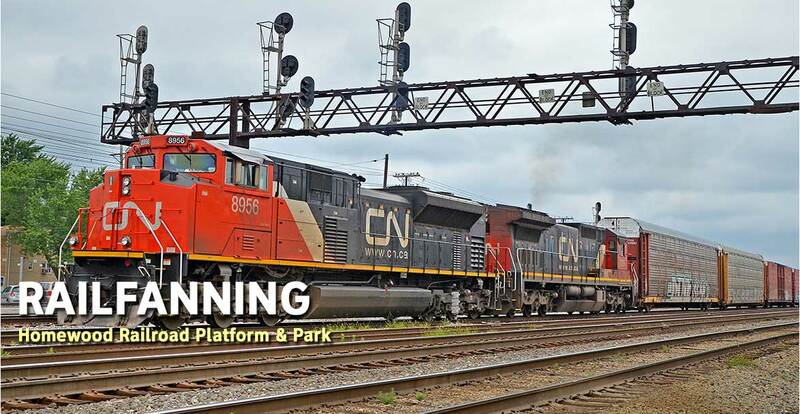 The platform also plays a live audio feed from the switchyard. For rail fans, Flossmoor Station Restaurant & Brewery is like a railroad museum that serves great food and craft beer. Located in the historic downtown district, Flossmoor Station serves a diverse heartland-style menu with award-winning handcrafted beers on tap. The brewpub sits in the original IC Flossmoor Station which was built in 1906. It was meticulously refurbished in the mid-1990s by Dean and Carol Armstrong. From the bar area, you can get an up-close view of the modern Metra Electric line as it stops at the new Flossmoor Station. The railfan park features a 35-foot elevated handicapped accessible platform that overlooks a rare "highway cloverleaf interchange for trains." At both ends of the double track are wyes with a crossover between the tracks that permit trains to enter and exit the Park Forest cloverleaf in any direction. All Aboard! 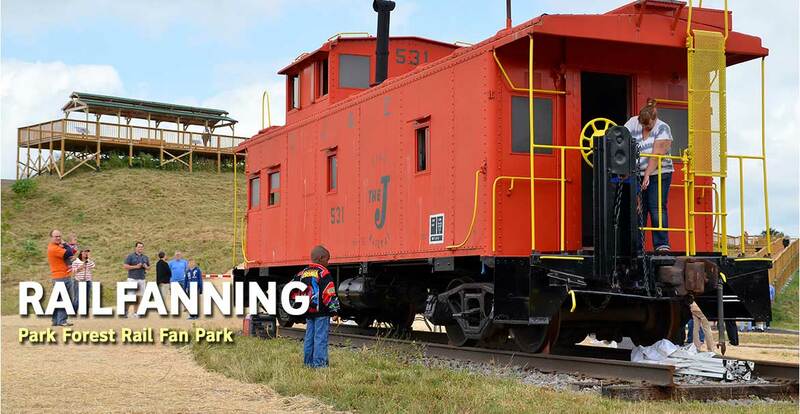 Family Dining Amusement features good food, interactive model trains, classic arcade games and a train-themed toddler’s play room, making it a perfect choice in dining for trainlovers of any age. Enjoy the excitement at the wrap-around train counter, where a model steam engine will deliver your meal right to your seat. 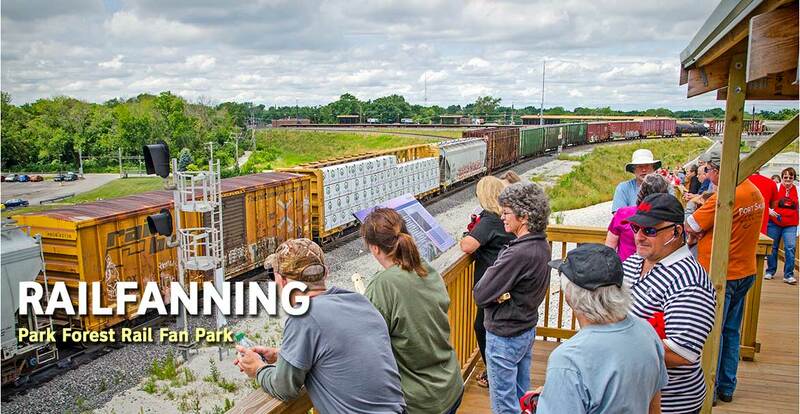 ChicagoSouthlandRail.com is your guide to railfanning in the Chicago Southland!